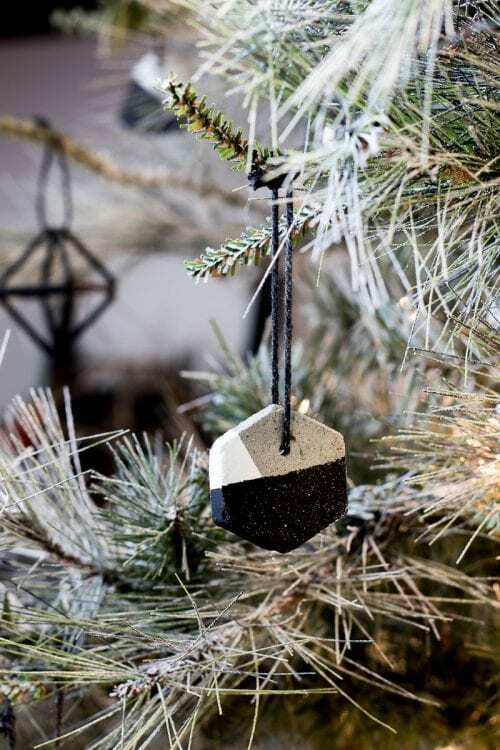 Make these homemade Christmas tree ornaments to decorate your tree. 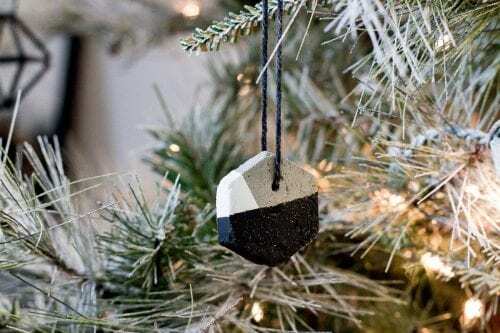 The modern homemade snowman ornaments are too cute and the simple cement ornaments are perfect for any minimalists Christmas tree. A few weeks ago I mentioned to Justin that it was time to start thinking about what we wanted our Christmas tree to look like this year. Well, let’s just say him and I had very different ideas—and budgets—in mind. 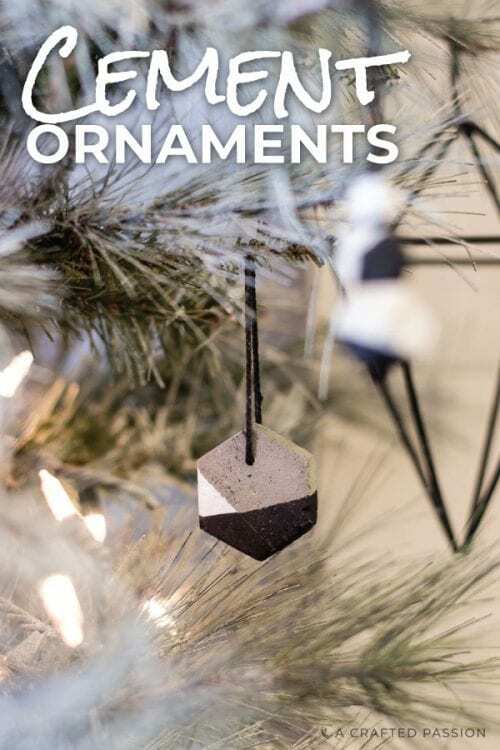 Instead of searching for new ornaments, as any good DIYer does, I got to brainstorming and came up with three super simple DIY Christmas ornaments and today I’m excited to show you the second one. 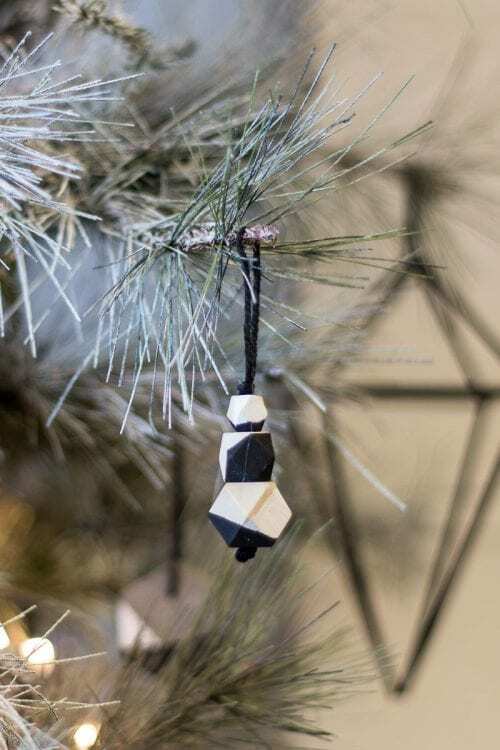 In case you missed it, check out the Himmeli ornament I shared yesterday. These homemade Christmas tree ornaments are perfect for any tree and are easy to customize for many different styles. So, let me show you how to make these ornaments. I used the same cups left over from these cement candle holders. 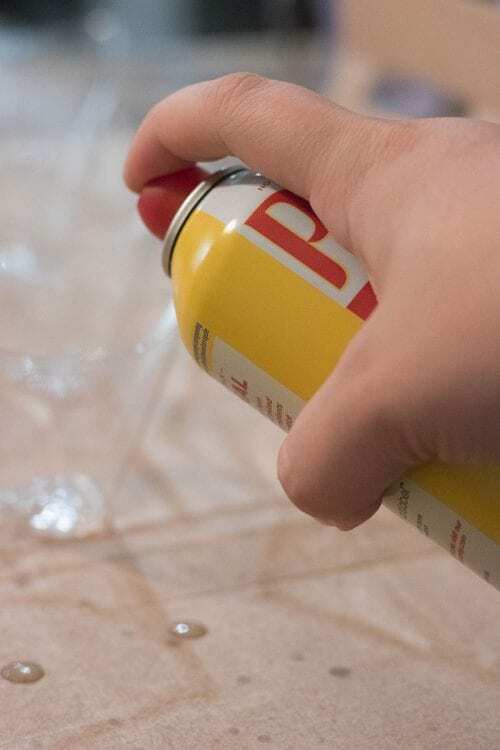 Spray all your plastic cups with a little bit of cooking spray to make it easier for the cement to drop out once they’ve had time to set. 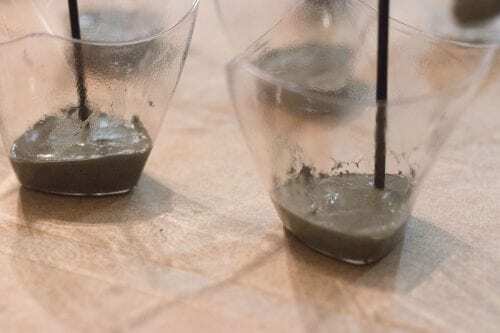 Mix your cement mixture. You want enough water that the top of the surface is glistening, but you don’t want to see water pooling. 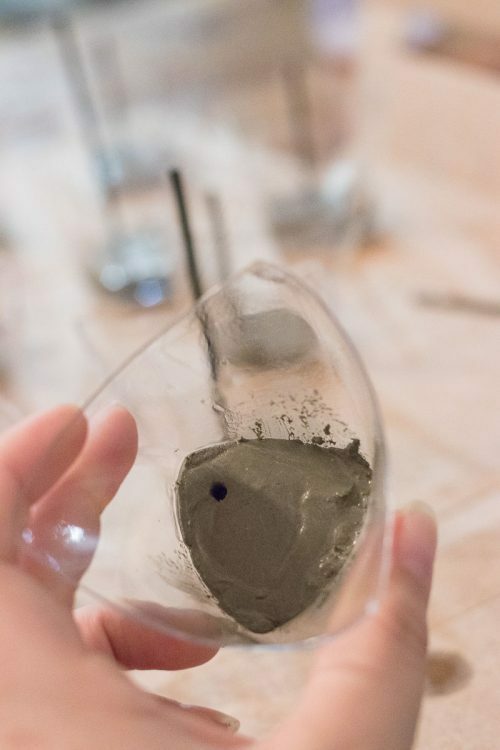 Scoop up about 1 tsp of cement mixture with your plastic spoon and carefully spoon it into the middle of the cup. Try to avoid the sides of the cups or else you risk it having a tough time leveling out. I found it was easiest to scoop ~5 cups at a time and then go through and level them out. If you wait too long, you risk the cement setting too much and then it’s difficult to level your ornament. 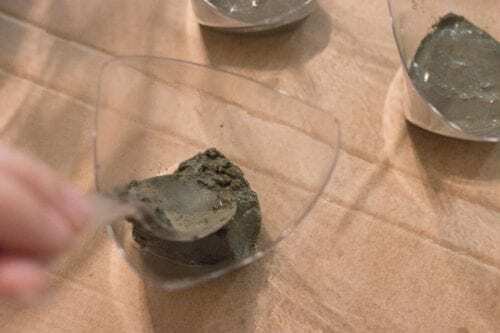 Next, level the cement using the back of the spoon, patting it gently on a flat surface, or lightly spinning it in circles to level out the cement. 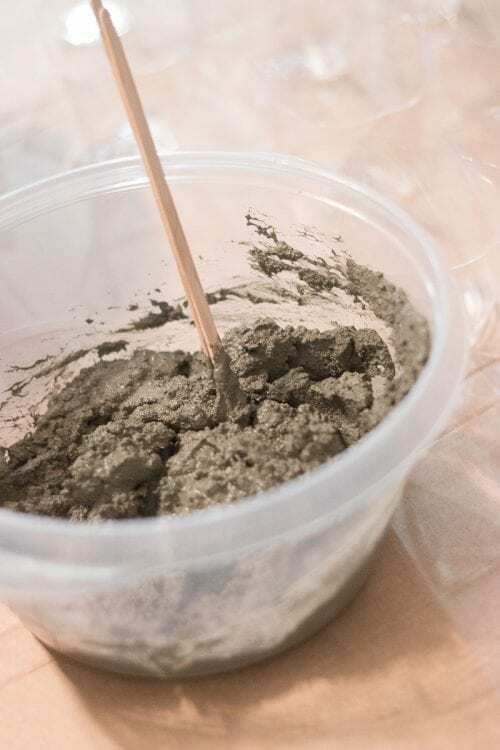 Depending on the consistency of your cement, take your small coffee stirrer straw and make a hole near one edge of the cement. If you cement is more set you can just place the straw in to make the hole and then remove it. If it’s a looser consistency, I suggest leaving the straw in place for at least 10 minutes before removing it. Place the straw and then push down and twist at the same time to make a clean cut. This is how you will hang your ornament later. 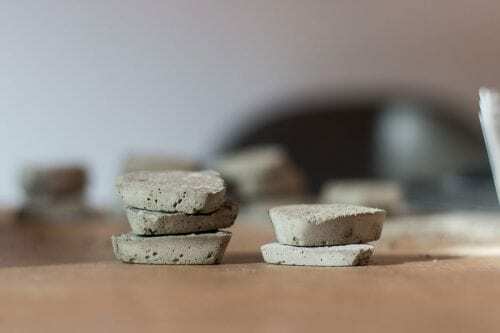 Let your cement ornaments set for a couple hours or overnight until the cement is hardened. Once the cement is all the same color it’s safe to sand. 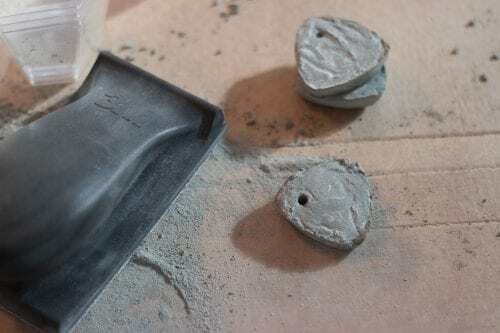 Start with an 80 grit to get off the rough edges and work your way to 220 if you want the cement to have a really smooth finish. 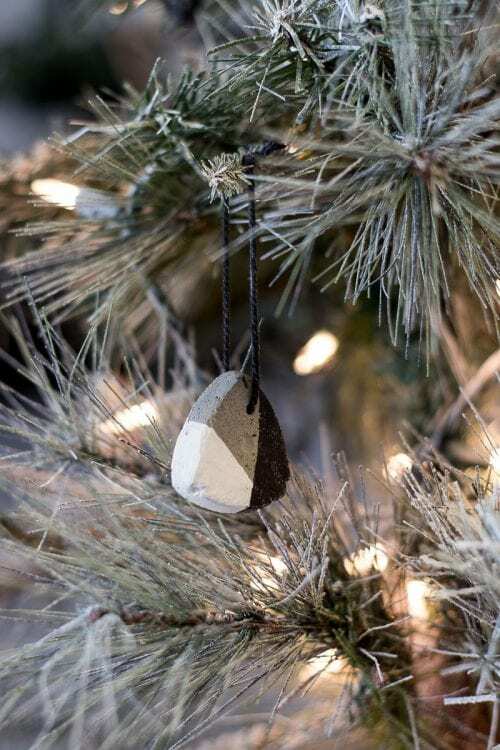 Clean up your ornaments so there isn’t any cement residue left on your ornament before painting. Use a small foam brush to paint your ornament. I chose to do white and black. I taped off the white, but then realized when I went to tape off for the black after the white had dried, the tape pulled off the white paint, so I stuck with just freehanding everything. Once the paint has dried, tie some string through the hole on your ornament and then hang that adorable homemade Christmas ornament up. I love how they turned out and I know they’ll last for years to come! Stay tuned for our minimalist Christmas decor coming later this week. Looking for more homemade Christmas ornaments? 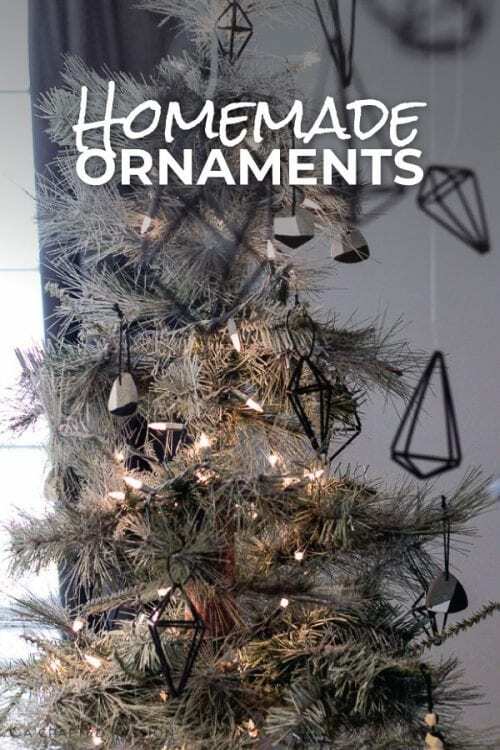 Check out how to make Himmeli ornaments. 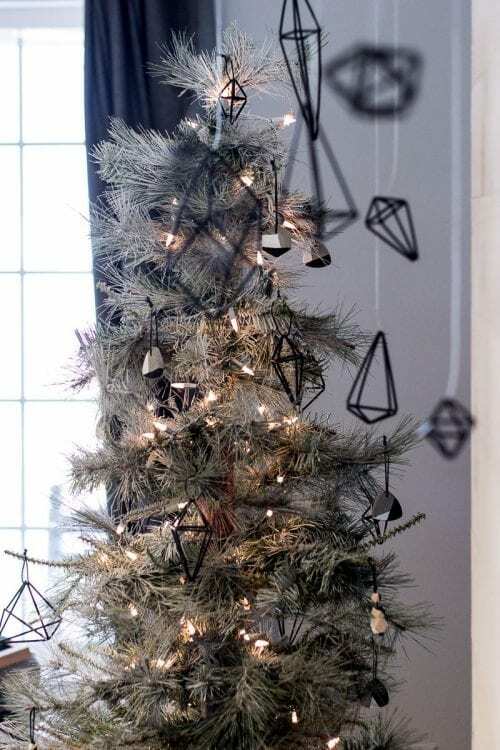 These little geometric ornaments are too cute! When I was working on making them, my almost 4-year-old walked into the room and said, “Mommm! Your little snowmen are soooo cute.” I figure if my 4-year-old thought they were snowman then the rest of the world should too. I bought these geometric beads that come in three different sizes, painted them, and then strung them using black string. I made sure to tie the bottom knot tight against the bead to keep the snowman tight together. In case you missed the himmeli straw ornaments, check out how to make himmeli ornaments here.